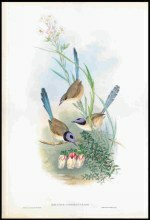 Black-Breasted Song Lark with letterpress in excellent condition. Kiwi (New Zealand) with letterpress in excellent condition. 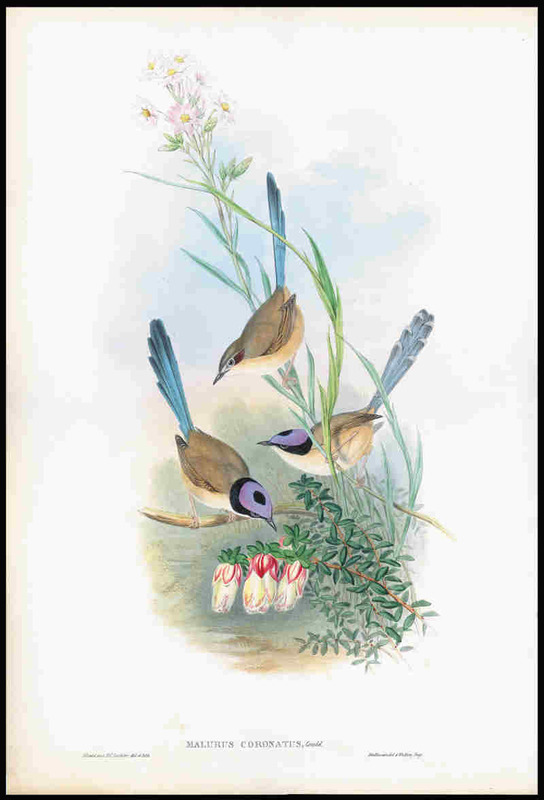 Lilac-Crowned Wren with letterpress in excellent condition. Little Tern with letterpress in excellent condition. Pygmy Goose with letterpress in excellent condition. Spectacled Petrel in excellent condition. No Letterpress. Allied Native Rat in excellent condition. No Letterpress. Australian Bat in excellent condition. No Letterpress. Dusky-Footed Native Rat in excellent condition. No Letterpress. Long-Haired Native Rat with letterpress in excellent condition. Pademelon Wallaby with letterpress in excellent condition. Plains Native Rat in excellent condition. No Letterpress. Short-Eared Rock Wallaby with letterpress in excellent condition. Tasmanian Bat in excellent condition. No Letterpress. Selection of 20 Pigeon and Quail prints including White-headed Fruit Pigeon (2), Brush Bronze-winged Pigeon, Partridge Bronze-wing, Plumed Partridge Bronze-wing, Crested Pigeon, Red-Chested Quail, Chestnut Backed Quail and King Quail. 4 duplicates and all but two with letterpress.